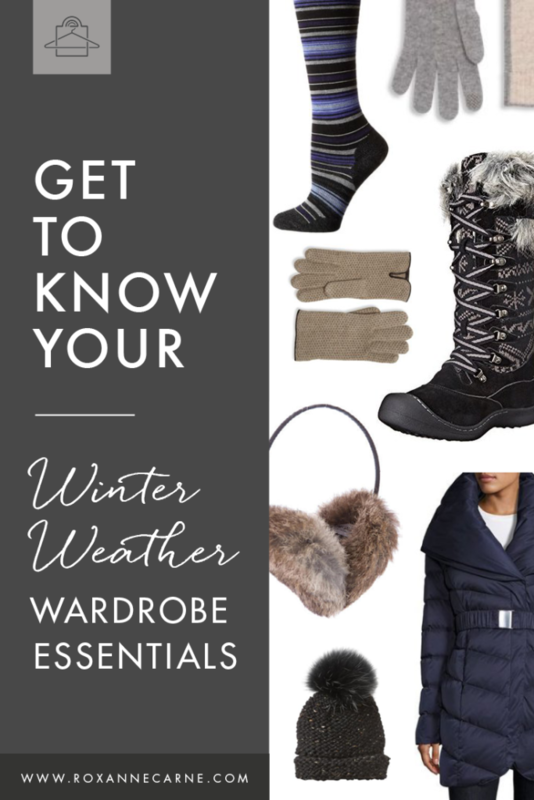 Is your WWW… winter weather wardrobe in top gear? 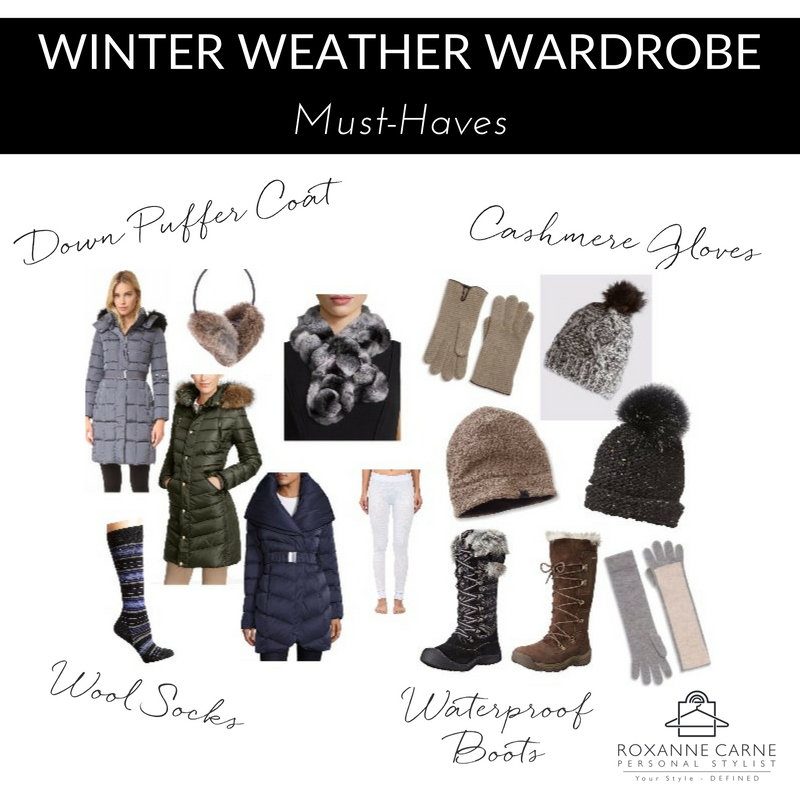 With super cold temperatures that come with the winter season, you’ve got to make sure that you have the right wardrobe pieces to keep you comfortable and, of course, warm! Wintertime is not the season to rock your cute leather moto jacket (LOL, we’ve got plenty of time for that!). While dressing for winter may feel more like a functional task instead of a styling opportunity, I want you to know that you can have both! So, I’ve curated a few winter weather wardrobe essentials that are cute, functional, and don’t break the bank. Like the Look? Own It by Clicking Here! Remember when Mom always said that to keep warm outside, you need to wear a hat? In colder temperatures, since we lose most of our body heat through our heads, the key to keeping (and feeling) warm is to wear a hat. (Mom is always right!). Cable knit or fleece beanies make a good choice because they fit perfectly in hooded coats. This season, beanies are quite popular, but with a twist! Whimsical pom beanies are all the rage amongst women of all ages. These types of beanies work well if you’re wearing a hoodless coat. You see, regular beanies or pom beanies are both stylish and functional! Our fingers tend to get cold pretty quickly in the winter. No winter weather wardrobe is complete without a good pair of gloves. When selecting your gloves, please don't ‘cheap out’ and buy gloves that tear or pill easily – you know the type I'm referring to. You need to purchase quality gloves that will last for several winter seasons with good care. Cashmere gloves (or cashmere-lined gloves) are luxuriously soft and oh so warm! You can get standard length gloves or for more warmth, you can opt for longer gloves as shown in my collection. This is one piece that all of us have and you can have so much fun with it! Scarves & neck warmers come in many different fabrics, textures, and colors. It can be a great accent piece to your winter weather ensemble. In my collection, I included a rabbit fur accent neck warmer that is incredibly warm. I recently gave this as a Christmas gift to my best friend and she absolutely adores it! Jazz up your winter look with a stylish scarf or neck warmer – it’s so easy to do! As much as I love over-the-knee boots for cool autumn weather, they’re not practical for your winter weather wardrobe when there’s snow and ice involved. There’s no sense in leaving the house if you can’t walk in your shoes! So, I’ve pulled a couple of cute lace-up snow boots that give you traction, stability, and style. Little details like the faux fur and pattern-mixing give the boot a more distinct look. Another bonus is the waterproof finish that’s perfect for the not-so-nice days filled with a wintry mix. Finally, you’ve got to have a comfortable pair of long johns to complete your winter weather wardrobe. Whether you get tops, bottoms, or long john onesies, this is a wardrobe staple for this time of year. Long johns vary in thickness and some are made with special material that keeps you very well insulated. If you get the right thickness, they should fit comfortably underneath your clothes. Also consider buying a few pieces that you can rotate and be sure to follow the care instructions to extend its life. You’re probably wondering about sweaters? I haven’t forgotten about this obvious winter weather wardrobe essential – I’ve got a dedicated post about that right here, so please check it out! 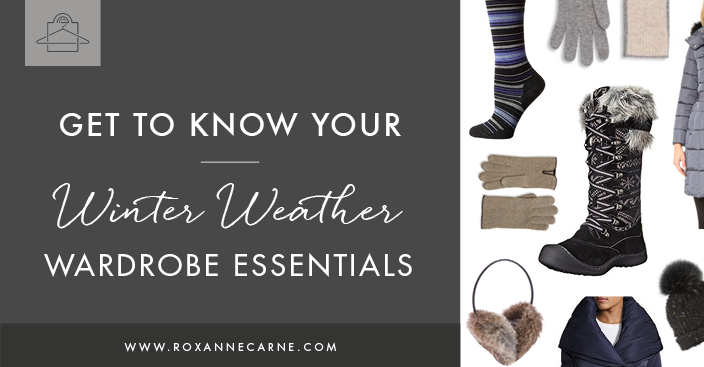 Hopefully, these tips will help you get your winter weather wardrobe in gear. If you have any questions about fine-tuning these essentials, comment below or contact me here. Stay warm and stylish!